Watch an Orlando City Soccer match against the Tampa Bay Rowdies as part of the 2014 soccer season! Off Exit 65 from I-4. Orlando City Soccer will be playing the the NASL team Tampa Bay Rowdies in a game at the ESPN Wide World of Sports Complex. This is a game for the 2014 soccer season. Orlando City Soccer recently announced a bid to join Major League Soccer in 2015. 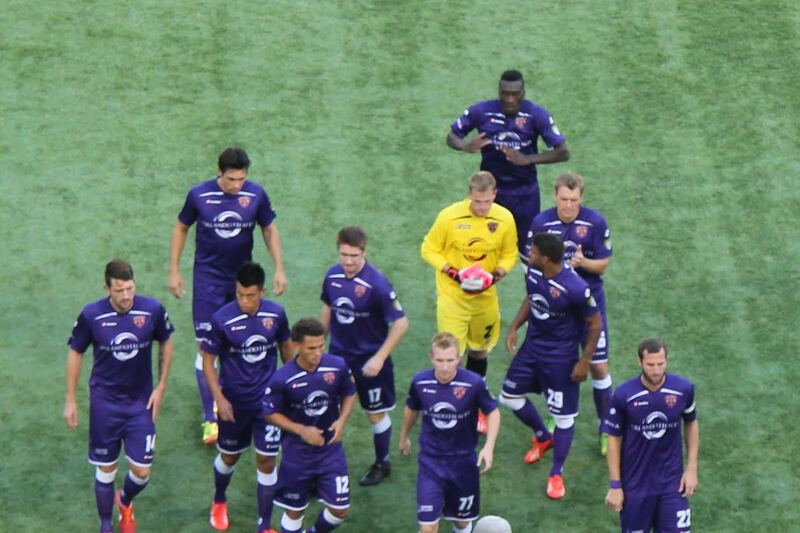 This is their last season playing with the USL Pro division. Orlando City Soccer matches are great for everyone in the community, especially avid fans of association football. There are areas for families to sit and watch the game, and areas for lively fans who like to get into the game. For more information on Orlando City Soccer Club, view their profile page. The Tampa Bay Rowdies are a NASL team founded in 2008. Their home stadium is Al Lang Stadium in St. Petersburg, Florida. Their colors are green, yellow, black, and white, and their supporters are known as Ralph's Mob. The Charleston Battery are led by Head Coach Ricky Hill to face off against the Orlando City Soccer Club at ESPN Wide World of Sports. The game is Wednesday, April 30, at 7:30 p.m. Parking is free, and tickets are $19 - $45. The Orlando City Soccer vs.Tampa Bay Rowdies game will be held at the ESPN Wide World of Sports Complex. For more information on this sports venue, view their profile page. Tickets may not be available in all price levels and sections.